Most of us love the cozy warmth and sweet smells of a home fireplace or wood stove on cold winter days and evenings. But as we stack our winter supply of firewood nearby so that it’s convenient to bring inside over the winter months ahead, we would be wise to take three simple precautions to make sure unwelcome termites don’t ruin this winter pleasure. 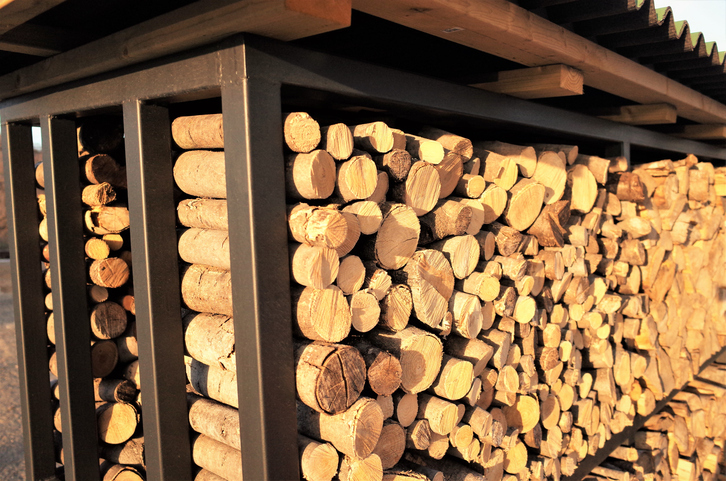 Store firewood at least 2 meters away from your home or any other buildings on your property. Raise the stored wood 20 to 30 centimeters off the ground. Don’t apply pesticides to the wood thinking that this will kill existing termites or protect against new infestation. Distance and off-ground wood storage are a good defence, since these critters don’t travel far without food. As for pesticides, they can’t penetrate deeply enough in wood to kill the termites, and burning that wood later can release toxic fumes that are dangerous to breathe. Use a piece of tin or other sheet metal as a base for your firewood stack, too. This makes sure that the bottom pieces of wood touch only the metal and not the ground itself. Having a metal base with small “walls” to create a shallow box can also be very useful, as it will not only give support to your firewood supply but will also prevent termites or other pests from just crawling over the edge of the sheet. Following these three precautions also helps those of us who like to bring a wood supply indoors to avoid multiple trips outside. The queen of the termite colony will always be outside and underground, so her workers can’t begin a new infestation without her. Therefore, there isn’t really much danger of the wood that you bring into your home causing a termite infestation. But why let the little critters inside at all? Should you find evidence of termites in firewood in or near your home, it’s best to contact a pest control company for a free termite inspection. A trained professional can help you determine if termites have invaded your firewood or, even worse, your home.